Cape Lookout Lighthouse – Southern Outer Banks, North Carolina – i am uniquely and wonderfully made. It is still a wonder until today why I am passionate about lighthouses. I tried but I had given up knowing. Is it the beauty or the concept of guidance? Hard to tell. I have been, however dragging my hubby with this enthusiasm. We have said our hello’s to the old Mackinac Point Lighthouse in Michigan and the Sullivan Island Lighthouse in South Carolina. 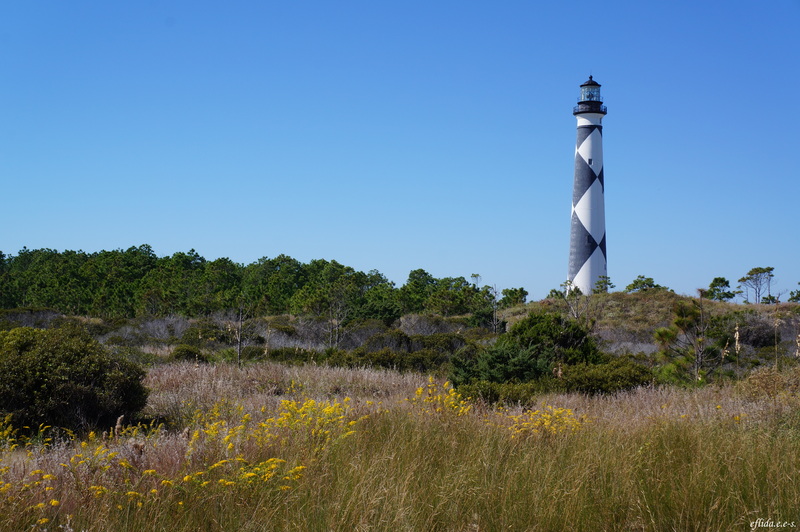 And about two weekends ago, this time with my parents-in-law who offered us their utmost hospitality at Wyndham Resort at Fairfield Harbour Point in New Bern, the Cape Lookout Lighthouse charmed us with her beauty. 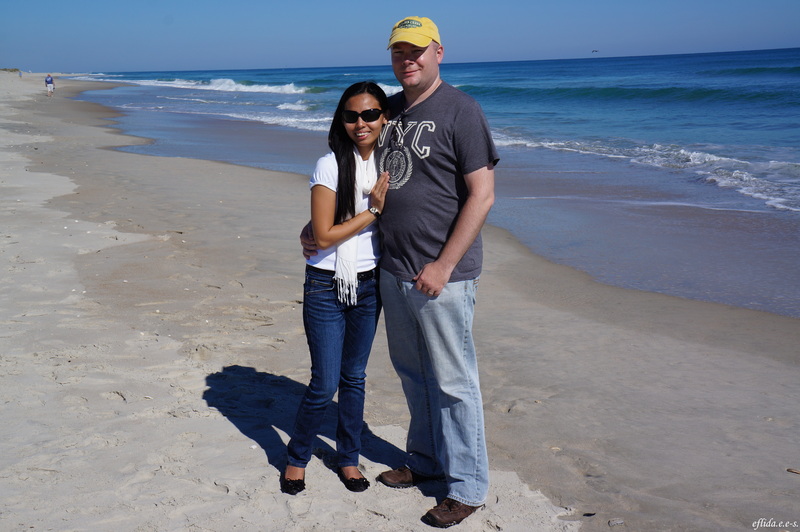 This was less than a week before hurricane Sandy hit the East Coast, when we were lucky to have a weather perfect for a tour around the Outer Banks. Cape Lookout Lighthouse on the Southern Outer Banks of North Carolina. 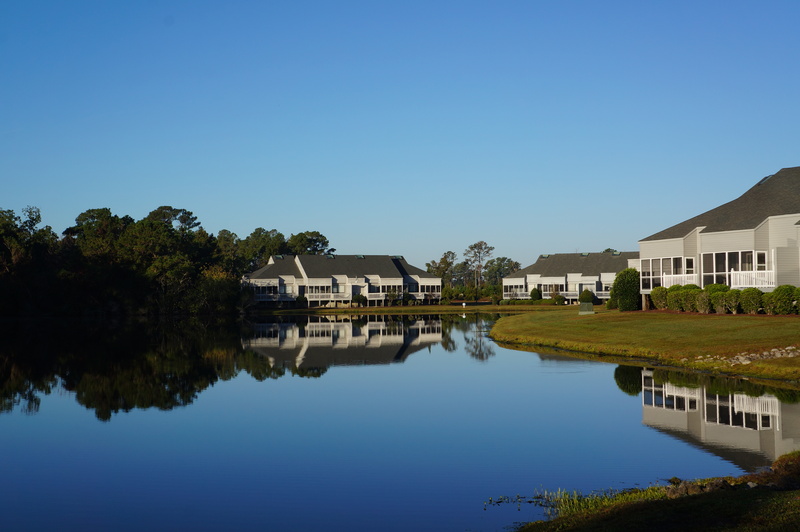 Wyndham Resort at Fairfield Harbour Point in New Bern, North Carolina. The Cape Lookout Lighthouse is a 163-foot high lighthouse located on the Southern Outer Banks of North Carolina with a rotating 1,000-watt beacon that flashes every 15 seconds, 24 hours a day, perhaps the only lighthouse known to operate during the day. It is painted in a black and white diamond pattern to indicate compass direction. When the sailors see a black lighthouse with a white diamond pattern, that meant the ship was sailing east or west. However, when they see a white lighthouse with a black diamond, that meant the ship was sailing south or north. The view approaching the Cape Lookout Lighthouse in Southern Outer Banks, North Carolina with the asst. keeper’s house on the left and the oil shack on the right. In this photo, we can see the black diamonds, therefore we are sailing in north-south direction. Approaching the Cape Lookout Lighthouse in Southern Outer Banks, North Carolina. 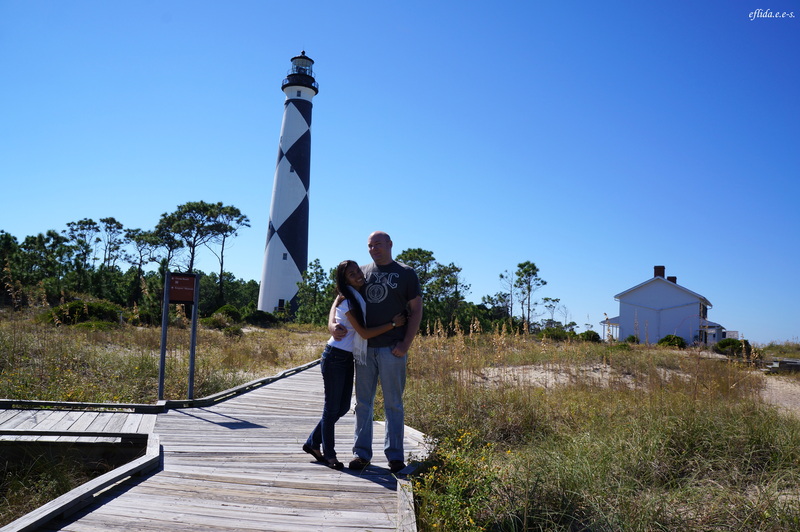 Hubby and I with the Cape Lookout Lighthouse as our background in the Southern Outer Banks, North Carolina. 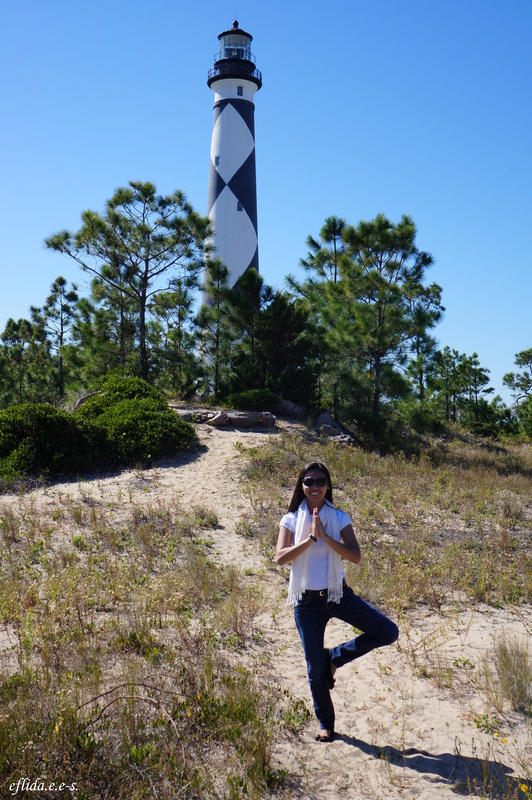 Tree pose at Cape Lookout Lighthouse in Southern Outer Banks, North Carolina. 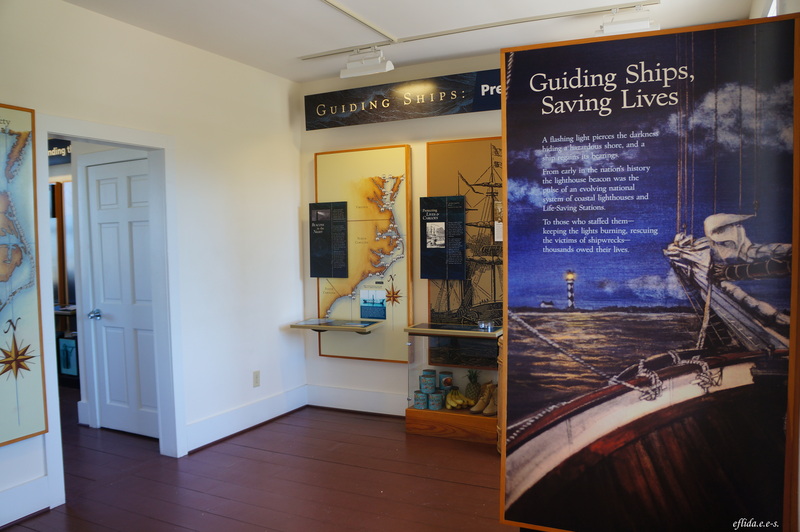 Inside Cape Lookout’s Lightkeeper’s house in the Southern Outer Banks in North Carolina. 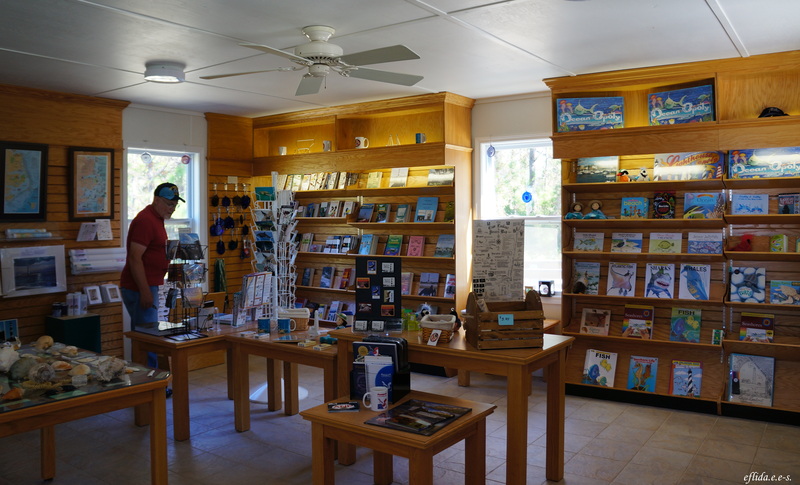 Inside Cape Lookout Lighthouse Visitor’s Center in the Southern Outer Banks, North Carolina. The breathtaking beachline at Cape Lookout National Seashore in Southern Outer Banks, North Carolina. A short walk trekking the boardwalk from the lighthouse surprised us with a beautiful view of the Atlantic Ocean. If you stare long enough, you will be enchanted with dolphins as if inviting you to take a dip into the water. Hubby and I at Cape Lookout with the Atlantic Ocean as our background. 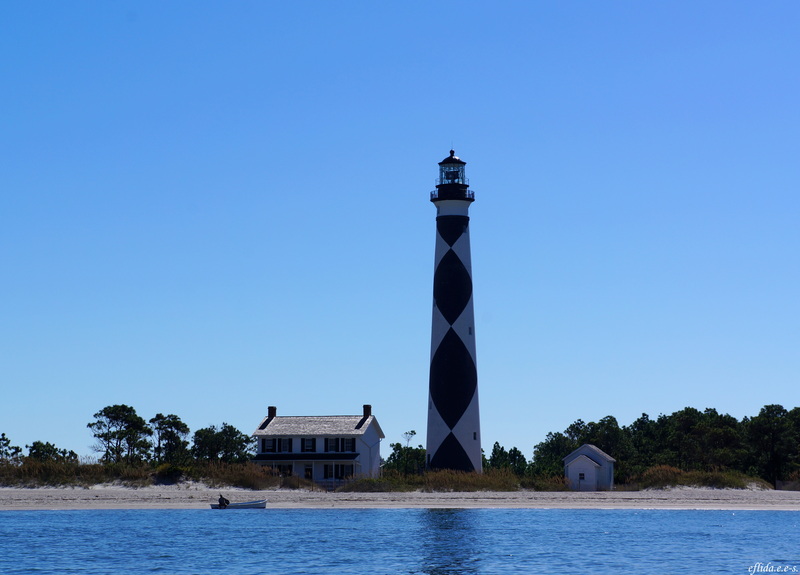 Getting to Cape Lookout and the Lighthouse is only accessible through authorized ferries and boats and is an adventure itself. 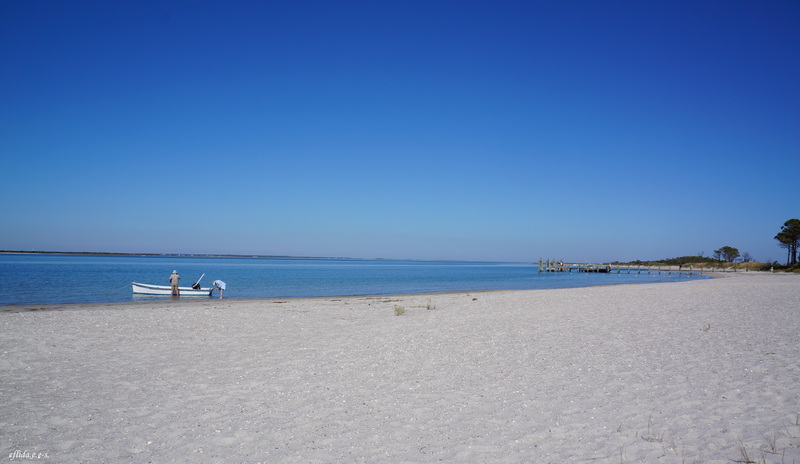 Aboard the Outer Banks Ferry, it takes half an hour from Beaufort to the docks of Cape Lookout. 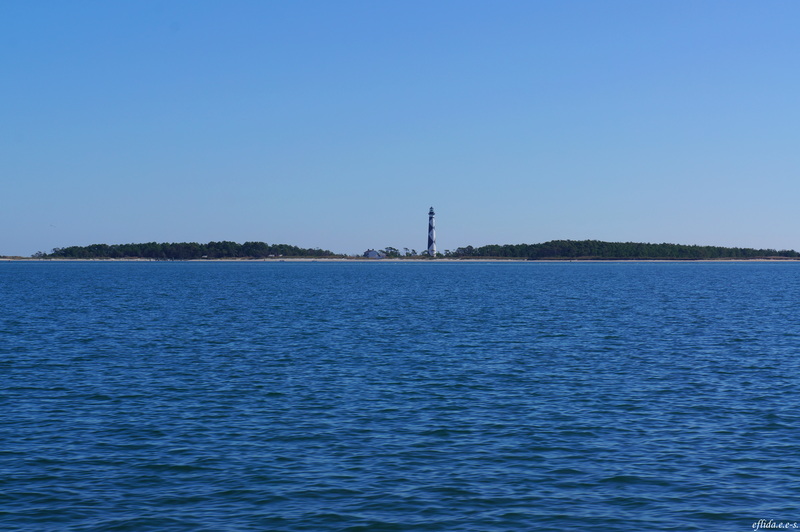 The 3 hour tour with one hour disembarkation at Cape Lookout Lighthouse cruised down the shore of Shackleford Banks, giving us a glimpse of the wild banker ponies that inhabit the island. And just when we thought the adventure is over on our cruise back to Beaufort, we were more than delighted to be entertained with dolphins. They get really close you are tempted to touch their fin! 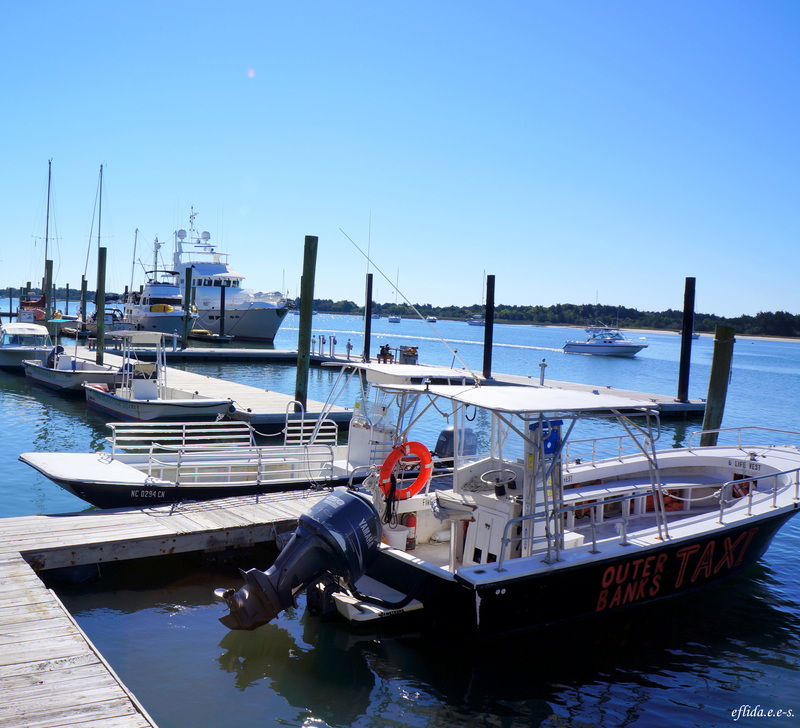 The Outer Banks Ferries kicking off from Beaufort to Cape Lookout in North Carolina. 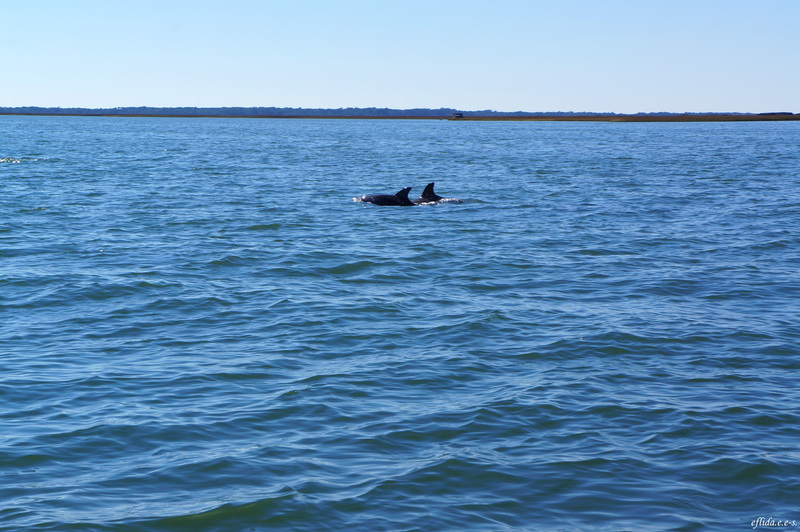 One of the many sightings of dolphins as we cruise Cape Lookout in North Carolina aboard Outer Banks Ferry. And it seems we were not the only ones enjoying this cruise. The tour captain’s dog seems to be enjoying as well. 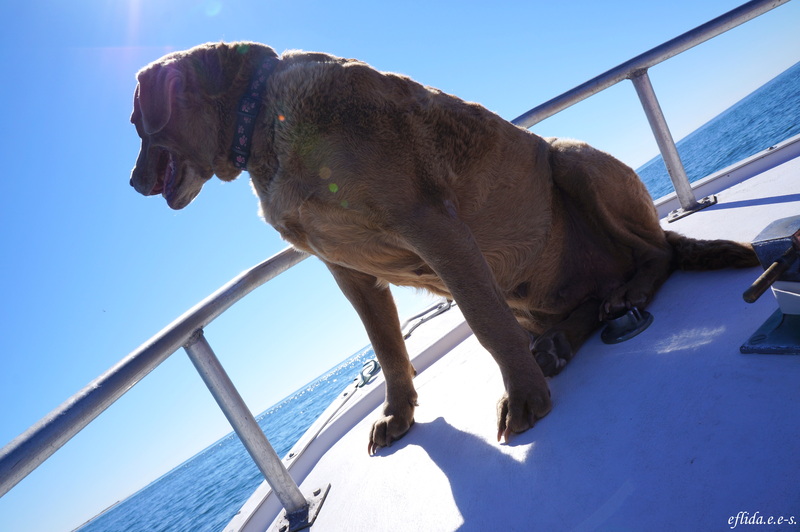 Yup, Cape Lookout has a way of seducing you, your pets included. The tour captain’s dog aboard the Outer Banks Ferry as we toured the Outer Banks in North Carolina. Sorry. I’m not a fan of lighthouse. To each its own, right? Anywho, love the different distances and angles of your captures of the lighthouse, truly excellent! And the information about the diamond black and white color is wild :D and very interesting. I never imagine the designs of lighthouses have significance. Thanks, and what a great post! Thank you Rommel. You are right to say to each his own. I even have friends who have extremely unique interests and I still love them and their passion. I think their uniqueness makes them really beautiful. As for the photos, the distance and the angles were not easy as we were on board the ferry. We cannot stop nor return once we missed something. And you know, the diamond pattern on the lighthouse drove me mad for minutes. I even had to try it myself just to see if it works :) Thank you again. I guess I got lucky again this time. Thank you for posting the beautiful photos. I’m familiar with the area but have never seen it as you captured it. Beautiful photos and a very attractive lighthouse. don’t think we have anything that pretty in UK. Ours are usually just white, although I do know a red and white striped one. Totally unfamiliar with this area. Thank you for showing me. How lovely – I like Hadrian’s wall too, though I have only been once to one of the forts. Would very much like to go again. The fairs look fun: very much into history, but don’t think we have anything quite like this here. Sealed Knot and societies like that do battle reconstructions, but they are very scary! The area looks lovely! :) Many thanks for the follow. Pingback: Cape Zanpa 残波岬 – Okinawa, Japan | i am uniquely and wonderfully made.